Royal Caribbean's largest and most action-packed ship classes, the Oasis and Quantum classes, have lots to offer cruisers and their newest ships -- Harmony of the Seas and Anthem of the Seas, respectively -- feature the best and most innovative restaurants, entertainment and outdoor fun to be found in the Royal Caribbean fleet. 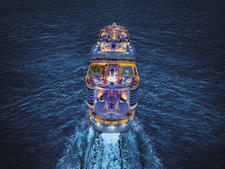 Because Harmony of the Seas, which launches May 2016, features a blend of Oasis- and Quantum-class features, it will have more in common with the three Quantum-class ships than any other Oasis-class ship. So, when choosing between Harmony and a Quantum-class ship like Anthem of the Seas (the only Quantum-class ship to sail in North America), how do you decide which is right for you? Below we've compiled a comparison of Harmony of the Seas vs. Anthem of the Seas to show you exactly what you'll find onboard each ship. Although these ships share some of the same offerings, there's a lot that sets them apart. 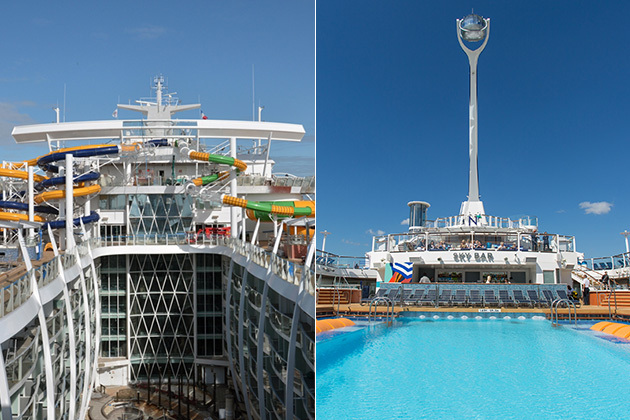 Read on to compare Anthem of the Seas vs. Harmony of the Seas. Despite both ships boasting 16 decks of packed excitement, Anthem is significantly smaller than Harmony, measuring in at almost 170,000 gross tons, as opposed to Harmony's massive 227,000 gross tons. Anthem also carries less passengers (4,180 vs. 5,479 on Harmony, when both are sailing at double capacity), but surprisingly has a larger passenger to crew ratio of nearly three passengers for every one crew member; on the larger Harmony, there is one crew member for every 2.4 passengers. 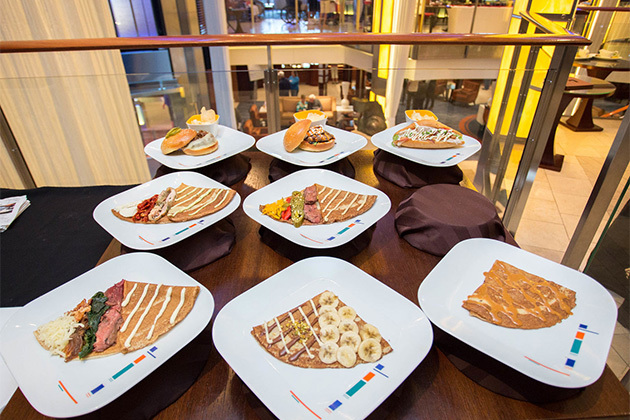 With more than 15 eateries on each ship to grab a bite at or sit down to dine, hungry cruisers will be spoiled for choice on both Anthem and Harmony of the Seas. Some of the line's most popular restaurants and quick-stop venues are on both ships, including Sorrento's Pizzeria, the Solarium Cafe and the Windjammer buffet (both of which are included in the cost of your cruise), as well as extra-fee spots including Izumi Hibachi & Sushi, Johnny Rockets, Jamie's Italian, Chops Grille and Wonderland. Both also have a hot dog venue; on Anthem it's the SeaPlex Dog House, while on Harmony it's the Boardwalk Dog House. Another dining venue the two ships share is Coastal Kitchen, the private restaurant reserved for suite passengers. But each ship also has a handful of restaurants the other does not. 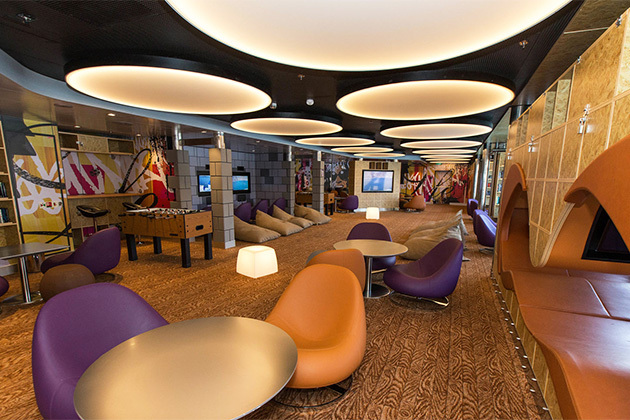 You'll find bars and lounges aplenty on Anthem and Harmony of the Seas, though as befits its larger stature, Harmony has more. 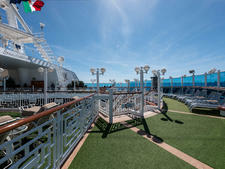 Most of the venues are different, with just a handful located on both ships. 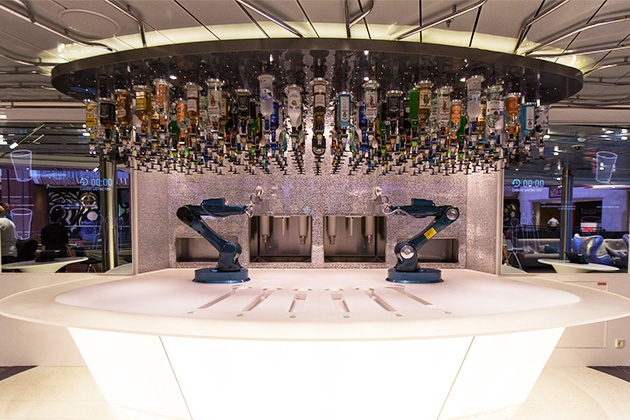 Not including the ubiquitous pool bar, you'll find the Latin-themed Boleros, Schooner Bar, the robot-tended Bionic Bar and Vintages Wine Bar on both Harmony of the Seas and Anthem of the Seas. Below are some standout bars that vary between the two ships. 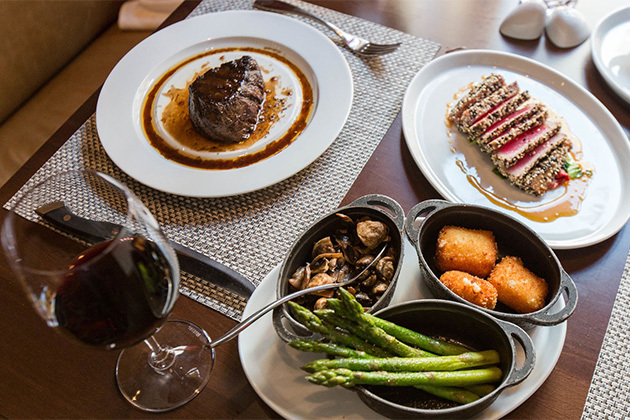 Michael's Genuine Pub: This pub, on Anthem of the Seas, was created in partnership with Miami-based chef Michael Schwartz (the man behind the menu at Harmony of the Sea's 150 Central Park). Inside you'll find a selection of craft beers like Brooklyn Lager, Dogfish Head 90 Minute IPA and, of course, Michaels' Genuine Home Brew. Gourmet finger foods and pub meals are also on offer, including deviled eggs, polenta fries, bangers and mash and more. Rising Tide Bar: You'll find all your standard bar drinks at this small bar on Harmony of the Seas, but what's sets it apart is a hydraulic system that raises and lowers the bar slowly between Deck 5 and Deck 8. Wipe Out Bar: Also on Harmony of the Seas, the Wipe Out Bar is pretty much a pool bar, but the view of daring cruisers wiping out on the FlowRider surf simulator are what make it a must-visit venue. Cabin categories on both Harmony of the Seas and Anthem of the Seas are the same: studio, inside, ocean view, balcony, junior suites and suites. Subcategories, however, differ between the ships. Both ships, for instance, have studio cabins but Anthem of the Seas has 28, including some with a balcony, while Harmony only has 15 and none with a balcony. Twelve of the studios on Harmony have ocean views via picture windows; the inside studios on Anthem all have virtual balconies -- their ocean views come courtesy of floor-to-ceiling digital screens piping in images from cameras mounted outside. On Anthem, all inside cabins have virtual balconies; on Harmony only 78 of 524 do. Another big difference in subcategories are the special-view cabins on Harmony that do not exist on Anthem. These include Boardwalk-, Promenade- and Central Park-view oceanview cabins and Boardwalk- and Central Park-view balcony cabins. Cabin sizes are fairly comparable between the two ships, with starting sizes of Harmony of the Seas cabins a tad smaller than on Anthem. Inside virtual balcony cabins on Anthem are all 166 square feet, but on Harmony standard inside cabins are 150 square feet, while those with virtual balconies are 172 square feet. As for suites, Anthem of the Seas offers seven categories, while Harmony has six. Sizes range from 351 square feet for the smallest suite (not junior suite) on Anthem up to the massive 1,640-square-foot Royal Loft suite. Balcony sizes range from 109 square feet in the smallest suite to three balconies totaling 874-square feet in the Royal Loft. On Harmony the smallest suite (not junior suite) is 371 square feet with a 105-square-foot balcony; the largest is the 1,500 square-foot Royal Loft, which has a single balcony measuring in at 874 square feet. 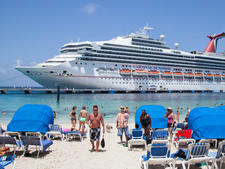 Families trying to decide between the two will find similar family choices in terms of inside, oceanview and balcony cabins, but the two ships differ slightly when it comes to larger family suites. Harmony offers four Royal family suites and one Presidential family suite. The Royal suites are 575 square feet with a 246-square balcony and feature two bedrooms, each with twin beds that convert to a king-size bed, plus a living room with sofa bed and two Pullman beds. The suites also have two bathrooms, including one with a bathtub. The Presidential family suite is 1,165 square feet with a 489-square-foot balcony, can house up to 14 people (eight are needed to book! ), and features two master bedrooms, each with a master bath with tub, as well as two other bedrooms with convertible twin beds and Pullman beds, one of which has a bathroom with a shower. The living room also has a sofa bed. Anthem, on the other hand, has 28 Family Junior suites, which are 301 square feet with 81-square-foot balconies. In addition to the bed, there's a sofa that converts to either a double bed or a two-tier sleeping arrangement with a trundle bed below the main bed. A full bathroom has a tub, and a separate half bath is also on hand. Like Harmony, Anthem has four Royal Family suites. The most innovative family cabins on Anthem are the 16 Family Connected Junior suites, each of which is actually three cabins combined: a junior suite, a Studio cabin and a standard balcony. When combined they offer 575 square feet and two balconies totaling 216 square feet, and can sleep up to 10 people. When it comes to onboard entertainment and daily activities, both ships have plenty to offer with some similarities and a few key differences. Both have Puzzle Break escape spaces, though on Harmony, it's a dedicated place, while on Anthem it shares space with the teen disco. Both feature Broadway-style theater entertainment: On Anthem you'll be treated to "We Will Rock You," inspired by Queen's greatest hits, while on Harmony you can sing along to "Grease." Music Hall is Anthem's two-deck live music venue. You'll find tribute bands, DJ'd parties and karaoke here. Two70 is a high-tech special effects-heavy entertainment venue where you'll find Cirque du Soleil-type shows with robotic elements, aerialists, vocalists and acrobats. Anthem also has the indoor fun house SeaPlex, which features bumper cars, a roller skating rink, circus school, air hockey tables, Ping-Pong and Xbox. On Harmony you'll find a 3D movie theater and an ice skating rink, which also doubles as an ice show theater on certain days. 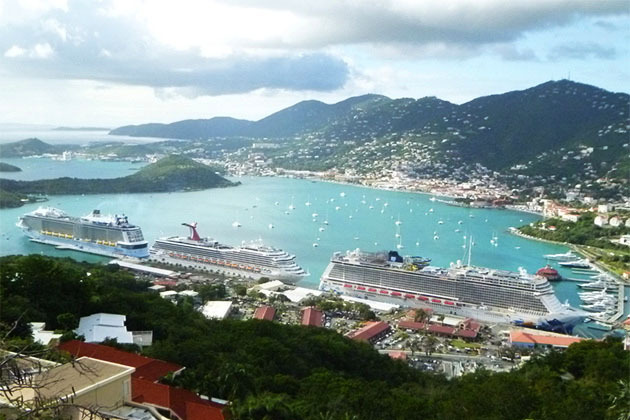 Outdoor options vary wildly between Harmony and Anthem of the Seas, despite a few overlaps. 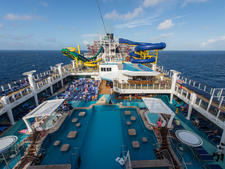 Both have multiple pools, the adults-only Solarium, rock climbing walls and the FlowRider surf simulator. Other highlights of Anthem's outdoor fun are the RipCord by iFly skydiving simulator and the North Star, which takes a limited number of cruisers up and out over the side of the cruise ship in a jewel-shaped glass capsule for stunning 360-degree views. On Harmony, adrenaline junkies will want to try the zipline, while water lovers should check out the three water slides and 100-foot twisting drop provided by the Abyss slide. For those who like their fun a bit tamer, Harmony will feature a Boardwalk Arcade with classic carnival games, a mini-golf course and a full-sized basketball court. At night, Harmony cruisers can take in a show at the AquaTheater, which combines high diving with acrobatics for a thrilling spectacle. Both Anthem and Harmony of the Seas are family-friendly with a vast array of activities and space for kids and teens. On both, you'll find the same kids' clubs, family-specific cabin options, the Royal Babies & Tots for-fee nursery, the teen-only Living Room hangout and Fuel disco and the DreamWorks experience. When it comes to pool fun, Anthem has a small H2O water zone for kids, while Harmony has the larger Splashaway Bay kids-only water park. Harmony also has a few educational spaces for kids in its Kid's Avenue neighborhood that are not found on Anthem, including the family crafts workshop, Adventure Art arts studio, Adventure Science Lab and Adventure Ocean Theater. Anthem of the Seas is based in Bayonne, New Jersey, year-round and sails to the Bahamas, Bermuda, Canada and New England, Eastern Caribbean, Southern Caribbean and Western Caribbean. Harmony of the Seas will spend its first few months sailing Western Mediterranean cruises out of Barcelona and Rome, then reposition to its U.S. homeport of Port Everglades in November, from which it will sail Bahamas, Eastern and Western Caribbean cruises.